When I was at the Pegaworld event in Vegas a few weeks ago, I had the pleasure of seeing Dr. Brigit König, CEO of Germany’s Allianz Health, keynote. I also spent some time later in the day with Birgit talking about digital transformation and what it’s been like for a global insurance company like Allianz to take the plunge. Her thoughts on this were simple, yet on target: undertaking digital transformation is all about transforming business operations such that they are stable, reliable, but also agile, and fast. Not an easy task, by any measure, but I think she’s right. 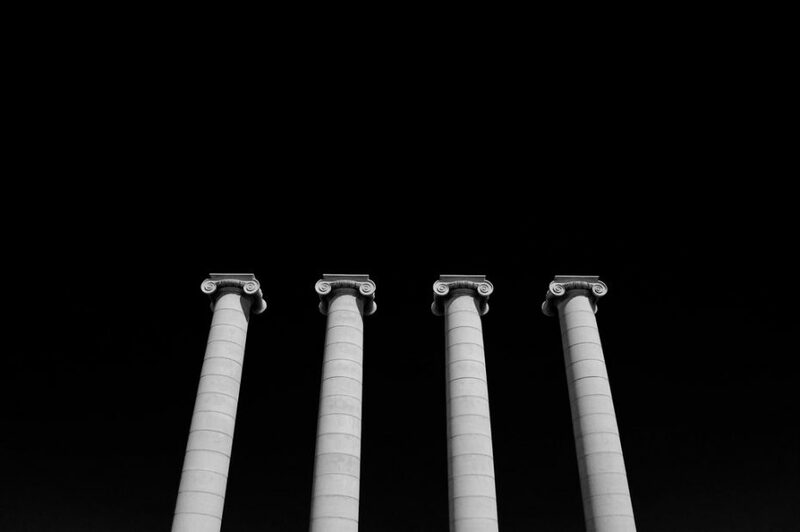 So are the four pillars of digital transformation as simple as stablility, reliablility, agility, and speed? Let’s explore. Allianz is a global insurance and asset manager, with some 142,000 employees, operating in 70 companies and serving upwards of 85 million customers. The market leader in insurance in Germany, Allianz has a strong international presence as well. For fellow Americans, chances are good that you’ve done business with Allianz, even if you think you’ve never heard of the company. For instance, and just one small example, if you purchased insurance on a concert ticket, Allianz was likely the provider. In addition to the insurance side of the business, Allianz is also one of the world’s largest asset managers, reporting third-party assets of 1,276 billion Euros under management at year end 2015. König took the reigns as CEO at Allianz in 2011, after spending time at McKinsey & Company focusing on strategy and innovation. Responsible for 2.4 billion EUR in revenue, 30 billion EUR in assets, and leading a company that insures some 2.5 million lives, her job is not a small one. According to König, what Allianz is endeavoring to be through the process of digital transformation is the front runner in using technology to achieve business outcomes and improve customer relations. And with an operation this large, and so many customers all over the world to serve, that’s no small undertaking. I loved hearing her thoughts on this topic, and the strategic, but common sense approach that she and her team have taken, and are continuing to take, on this digital transformation journey. In the digitized world, customers and prospects expect immediate attention, high quality, and consistency in every interaction they have, no matter the channel—including interactions with an insurance company. Their expectation is simple: Serve me individually, whenever, however, and wherever I need it. So it’s not unusual that insurance companies like Allianz are investing in platforms that allow them to focus on real-time interaction management, omnichannel communications of all kinds, and customer experience. So how do you make that customer experience a seamless, satisfying one? According to König, for an insurance company, or any company, to be able to deliver full end-to-end solutions, they’ve got to achieve integration in the back of the house, the “back office” if you will. So when you’re architecting the process of digital transformation internally, focusing on developing a two speed architecture that enables speed and agility in the front office and reliability and stability in the back office are your keys to success. König explained Allianz’s processes as she and her team took the plunge into digital transformation as solely focused on just one thing: forging tighter relationships with their customers. Their strategy on this journey has been to start all processes from the customer point of view and laser focus on customer experience. She used the claims process as an example. Think about making an insurance claim and how all-too-often insurance companies require customers to wait on a check for what can see like interminable lengths of time. But yet, the world in which we lives moves very rapidly and customer expectations are greater than ever before. If you can get an Amazon package delivered overnight, why not a claim check? Another factor to take into consideration is that customer expectations are formed years before they ever buy their first insurance policy. That’s especially relevant today, with a new generation of customers on the rise, and new expectations about service and the immediacy thereof. For today’s consumers, their expectation of connectivity and communication from brands is formed in their teens and 20s. So as the team at Allianz works to create optimal customer experiences and customer journeys they start with the customer expectation and build a customer journey around it. Their internal processes involve their team going through the whole journey of every part of the customer interaction, and thinking about what the customer expects at each point. This allows them to develop a myriad of different situations, and journeys—and customer experience/service solutions that are far and away from what they could do with their old back end systems. This is where software comes in, as all the company’s back end systems are now filled with customer data. The front end action happens in the apps and AI modules, which are used by customers and used to interface with customers, hand in hand with those back end systems and data—all working together to deliver the optimum in customer experience. For König and her team, Pega is the glue that holds all this together, and which allows them to reach their goal of being stable and reliable on the back end and agile and fast on the front end. A nice nod to both the Pega team for the role in the process as well as their software product. There are different variables that come into play when measuring the success of digital transformation. This is where agility and the ability to move quickly come into play. Automation is one important element. When you automate a business process, the two benefits are that the process goes faster, so you have more satisfied customer. The other thing is that you free up resources that you could put to better use in the customer interface. When you can automate in the back end, and reinvest in the front end, you can deliver a double benefit for customers. For Allianz, insurance is an incredibly scaled economy business. It’s all data. And data is always scaled. You build a system like the one Allianz uses, it costs multimillions. You don’t build that for ten customers, you build it for millions. For a business as large as theirs is, the ability to scale affords many investment opportunities, which is important to them. This is something that not many companies can do. Embracing digital transformation plays a big role when it comes to the ability to scale. When is the Process of Digital Transformation Over? My favorite comment made by König was when asked about when Allianz began the digital transformation process, how far they have implemented, and how much is there left to do. Her response says everything there is to know about understanding digital transformation: It is never over. There is always change and always more to do. How far is Allianz on the path to digital transformation? They’ve come a long way. But König was spot on when she described the process as a journey that only increases in speed as you go along. And you can’t reduce the speed at which you transform, all you can do is go full steam ahead and get faster, more agile, and more efficient every step of the way. Thus, everything hinges on putting the right systems in place in the back end to afford reliability and stability, and then an ongoing commitment to adopting an agile mindset and moving. And it’s this togetherness that is central to the process of digital transformation. It’s the theme of every conversation I hear, from any CEO, CMO, CTO, or C-Suite executive describing their digital transformation journey. The message is always the same: You can’t do it all alone. No matter how capable, and how smart, your team is, it’s about finding the right partners. Digital transformation is all about the people, the culture, and the experience you want to create—internally and externally. The keys to success are having a partner or partners that you can trust, with whom you can fearlessly share everything, without a need for secrecy, and trust that you are going together on a journey where you aren’t sure where you’re going, but you’re committed to getting there together. These might not be the four pillars of your digital transformation journey, but they are the foundation upon which the team Allianz build their journey. What do you think about this? What is the basis upon which your digital transformation process is built? Do stability, reliability, agility and speed play a role? I’m pretty sure they do, but I’d love to hear your thoughts on this.